My experience with Captain Cash has always been great! I received my loan in a heartbeat and their support has been wonderful. What do people in Vancouver like to do? Tourism! According to our statistics, people from this beautiful city mainly use their loans for activities and tourism! Vancouver’s breezes carry the scents of nature and aromas of all the urban delights you’d expect from a city regularly voted, “the Worlds most livable”. When it’s time to answer the call of the wild, cross the Lions Gate Bridge to The North Shore, a wilderness where bears roam and salmon-filled rivers flow through old-growth forests. Prices on everything are soaring to new heights these days, and household income has shown little change in the right direction. When you combine those two facts, you get hard working families realizing money just doesn’t go as far as it once did. 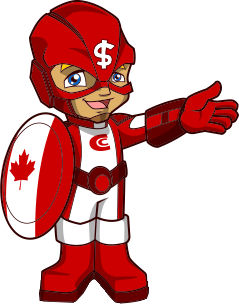 At Captain Cash, we’re well aware of today’s financial plight and stand ready to help with cash loans in Vancouver designed to meet your needs. We can have up to $500 in your pocket on demand. How Does a Cash Loan Stack up against Other Options? Cash loans in Vancouver fall into a category all their own, giving you a refreshing alternative to the industry norm. In comparing our options to those of traditional lending institutions, you’ll find a number of advantages to what we have to offer. Simplicity: With some lenders, choosing to apply for a loan is the beginning of a long, arduous journey during which you’re forced to jump through numerous flaming hoops to find relief from financial struggles. 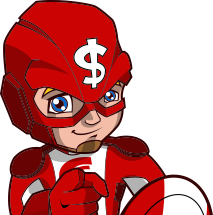 Captain Cash was established to bring an end to the nonsense; as such, we’ve developed a fast, simple application process to help you get the money you need without all the traditional hassle you don’t. Speed: When the need for money comes calling, it’s rarely willing to wait around for the red tape to be cleared. A number of lenders don’t seem to understand urgency, but we’re proud to say we’ve strayed from the herd. Suitability: Most lenders have strict regulations in regard to who is allowed to borrow money and who ought to go on struggling. We just don’t feel the same way. Our minimal requirements mean almost anyone can qualify for a cash loan in Vancouver. We make sure extra money is readily available for whatever you may need, and getting it couldn’t be faster or easier. Just click on our “Claim Your Cash” button, and see for yourself what sets us apart. It’s only fair to point out the potential downsides of cash loans in Vancouver as well. Interest rates tend to be a bit higher with this option than with conventional loans. Though we realize payments may sometimes need to be made after their due dates, additional fees will apply. Recurring late payments could result in mounting charges. Our cash loans are always available to customers. While you can technically fall back on this option as often as you like, repeatedly doing so may lead to unnecessary debt. Use this alternative carefully. Do I Meet the Criteria for a Cash Loan? Borrowers must be Canadian citizens and at least 18 years old. Applicants should be steadily employed and have been with their current employers for at least three months. In order to qualify, your income needs to amount to $1,200 or more per month received via cheque or direct deposit. You’ll need an active Canadian bank account and a phone listed in your name. Those with recent bankruptcies or numerous insufficient funds transactions are not eligible for a cash loan in Vancouver. For the most part, we only accept forms of earned income with Employment Insurance being an exception to the rule. If you meet these conditions, chances are you’ll have up to $500 in your bank account shortly. If you’re ready to get the process started, simply fill out the form we’ve provided here on our website. You’ll need to enter information about yourself as well as your income, employer and bank of choice among a few other details. Then, all you have to do is submit. Those who’d rather have a little extra assistance may apply over the phone. We’ll also contact your bank and employer for confirmation. Keep in mind, your privacy is one of our main concerns. We won’t tell your employers who we are or why we’re calling, and we won’t share your bank account information with anyone other than the lenders in our network. 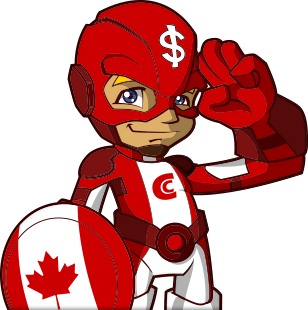 When you come to Captain Cash for a cash loan in Vancouver, you don’t have to worry about your information falling into the wrong hands. Our online application system uses the same level of security as banks are required to follow, so you’re safe with us. In most cases, we’re able to confirm eligibility and transfer the money into customers’ bank accounts before the end of the business day. Sometimes, though, the process does take up to 24 hours. Either way, you won’t be forced to wait days or weeks like you would through a bank. What about Repayment? Borrowers who go through us are able to pay back their cash loans in Vancouver over the course of three months or more depending on the amount of the loan as well as other circumstances. Lenders in our network charge a maximum APR of 32 per cent, and our brokerage fees are added into the total loan amount. We believe in transparency because we don’t like unpleasant surprises ourselves. You’ll know exactly how much you’ll be paying back in total, the amount of each installment and when payments will be due before signing on the dotted line. 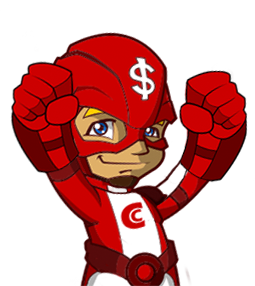 Cash loans in Vancouver can be a lifesaver when money gets a little tight or simply give you a little extra freedom when you want it, and Captain Cash is your portal to the area’s best lenders. If this sounds like the solution you’ve been looking for, fill out our simple online application or give one of our representatives a call at 1 (888) 226-1026 today. We do loan in Vancouver and much more. Whenever you are in Victoria, Richmond, Prince George, Surrey... do not hesitate to claim your cash today!